Enamel, also called porcelain enamel, is a material made by fusing powdered glass to a substrate by firing, usually between 750 and 850 °C (1,380 and 1,560 °F). The powder melts, flows, and then hardens to a smooth, durable vitreous coating. 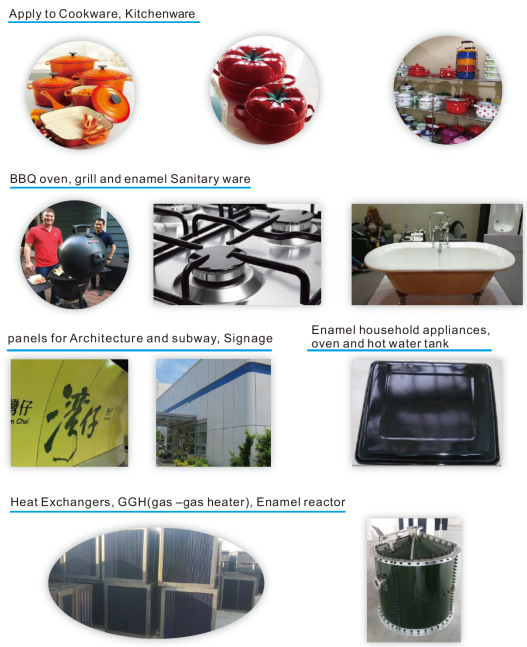 l Heat Exchangers, GGH(gas –gas heater), enamel reactor.